Posted on April 15, 2009 by Monsieur K.
I wanted to share with you some of the music and music-related events I encountered on my recent trip to Bali, where I spent most of the month of June. 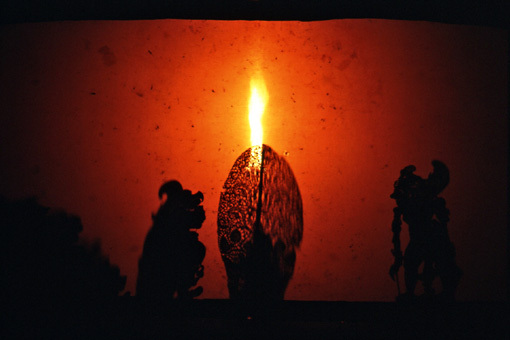 One of the archetypes I’ve used to prepare for and to engage in improvisation is that of the Indonesian shadow play (wayang kulit); or more specifically, the archetype of the shadow puppet master or dalang. So I was excited to note that Bali’s 25th Annual Arts Festival (which began on June 14 in Denpasar), a month-long series of music, dance and arts/crafts presentations, was to feature shadow play performances by masters of the art from various regions of the island. While we use the term “master” rather loosely these days to refer to almost anyone who has attained a certain degree of skill in their chosen profession, the dalang is a master in a much broader sense. He must undergo rigorous training in a number of fields (music, literature, dance, drama) and is more like a secular priest than a mere performer. Indeed, the ritual allowing one to begin working as a dalang is closely akin to the ordination of a Hindu priest. (Note: While women priests are common in Bali, I was unaware in 2003 of any women working in wayang. However, women shadow puppet masters were prominently featured in a subsequent Bali Arts Festival.) Further, the dalang is thought of as a type of spiritual medium, one who in the performance of his art, opens lines of communication between the natural and supernatural worlds. He bridges the gap between those worlds and allows the unseen forces to speak through him. As such, although the plays themselves are almost always based on traditional and well known stories, they are typically laced with current social and political commentary, often couched in humorous terms. The plays are presented on a 6 by 4 foot screen behind which is a hanging oil lamp which projects the flickering shadows of the leather puppets. There may be as many as 125 for possible use. The dalang sits behind the lamp which also has a microphone attached to it into which he speaks. He must be conversant in at least three languages: old Javanese (or Kawi), the language in which the plays transpire, and Balinese and Indonesian, the languages which the four clown-servants of the main (both good and bad) characters speak to translate and comment upon the proceedings for the audience, almost none of whom understand the old language. Additionally, he must speak in any number of voices, often switching between them in rapid succession, as it is he who speaks for each of the puppets. At the same time, he is manipulating and/or moving the puppets through space in an appropriate manner. Between the toes of one foot, he holds a wooden knob with which he strikes the box which holds the puppets when not in use, in this way directing the gamelan ensemble accompanying the play and adding dramatic emphasis to scenes with his rhythmic knocking. There is also always a battle somewhere in the play between the forces of good and evil. While the “good” always wins, it is not a triumph in any ultimate sense, only a single moment wherein which the two forces are kept in some sort of balance which allows the world to remain in harmony. While these battles take place in the “physical” realm, I was told a few years ago in Java, when I attended a wayang performance there, that the reason the good characters always triumph is that they have great “inner” strength, unlike the bad characters who only “appear” to be strong, acting blustery and throwing their weight around. 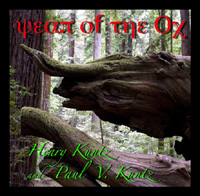 Parallels for improvisation exist in the way in which the free improviser moves between known and unknown worlds, allowing unconscious and subconscious realities to come into play; allowing different, perhaps seemingly mutually, exclusive voices to emerge. Also, as I’ve written elsewhere, I see the improviser as fulfilling a type of shamanic function, forging sound realities which may exist as archetypes for the manner in which we would like to shape our world. We may also use sound therapeutically in this way, as part of both a personal and social cultural context, allowing “good” and “bad” forces to play out in the sound world in such a way — perhaps even with some levity — that a respectful balance of same is achieved both within and around us. It is worth noting too the spiritual preparation the dalang makes prior to performances, asking for protection from evil forces, some of which he will bring into being through the puppets. He asks also that the “gods” may speak through him in the performance and that the audience will take delight in his work — which I take to mean that the audience will be delighted in their inherent recognition of the archetypical realities presented in the play. Purification rites follow the performance as well. The performances I saw, four in all, differed in the types of orchestras employed to accompany the plays, the level of involvement of the music with them, and the styles of working of the different dalangs. 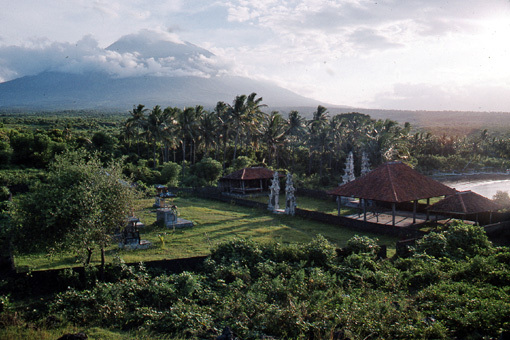 The performance from east Bali (Karangasem) and that from central Bali (Bangli) were similar in that the accompanying ensembles were more of a “standard” sort, four players of gamelan gender, 2 pairs of 10-keyed metalaphones tuned an octave apart in a 5-toned roughly equidistant (slendro) scale. (The players play the instruments two-handed with round-headed wooden hammers, continually damping the keys with the palms of their hands as they go. Lower-pitched unison lines are often played with the left hand while decorative lines of varying complexity are added with the right.) 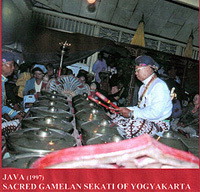 The ensemble from west Bali (Jembrana) used similar instrumentation but with the addition of small gongs, cymbals (ceng-ceng), and an oblong two-headed drum (kendang). This type of ensemble is considerably more dramatic in effect and is used to accompany, among other things, tales from the Ramayana, typically those which include a fair amount of conflict. In this instance, however, it seemed to be almost “tongue-in-cheek” as, following a particularly auspicious and portentous opening, the dalang engaged his audience with more than an accustomed amount of humor. By far the most ambitious production I saw was from the village of Sukawati, Gianyar (central Bali), a village with an island-wide reputation for the excellence of its dalangs. 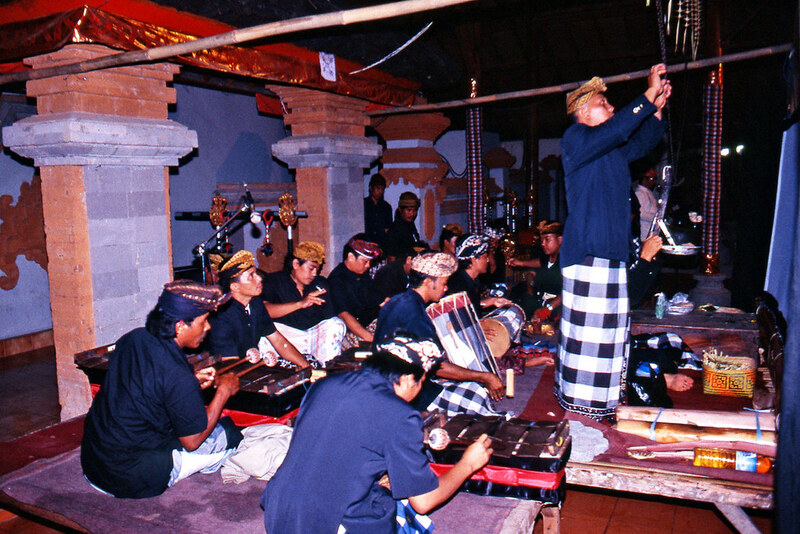 This shadow performance featured a quite large ensemble, some 20 musicians playing instruments of an ancient orchestra, the seven-tone gamelan selunding, whose keys are made of small to large iron slabs (most Balinese gamelan instruments have bronze keys) suspended over wooden trough resonators (as opposed to the individual-key bamboo resonators more commonly in use). 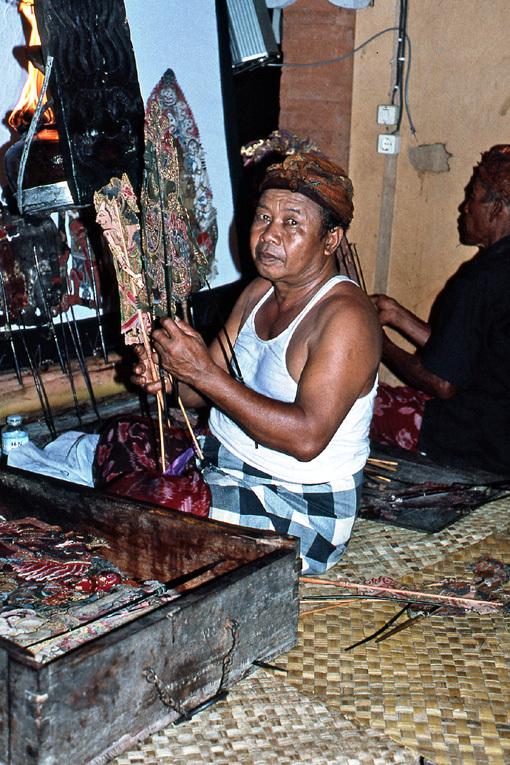 The keys are struck with large wooden hammers; like the gamelan gender, the instruments are played two-handed. Included in the orchestra were four players of bamboo flutes (suling) who doubled at times on conch shells, adding subtle low tones to the sound of the ensemble. Also featured were two drummers (of the oblong kendang) and players of large and small gongs and of cymbals (ceng-ceng). Even for this orchestra, only rarely heard in its villages of origin in east Bali (once a year in most locales), the addition of flutes, drums and gongs to the basic ensemble was extremely unusual. The music itself was wild! The flutes blew long, wavering on-and-off tones, continuously played, the results of circular breath. The drums interjected thunderous rhythms while the clanging, clattering sounds of iron moved in, around and about in textural circles and rose and fell in smaller and larger percussive waves. A preliminary piece, such as is normally played prior to the beginning of the wayang itself, actually drew applause from an overwhelmingly Balinese audience, the first time I’ve heard such a thing in this context. 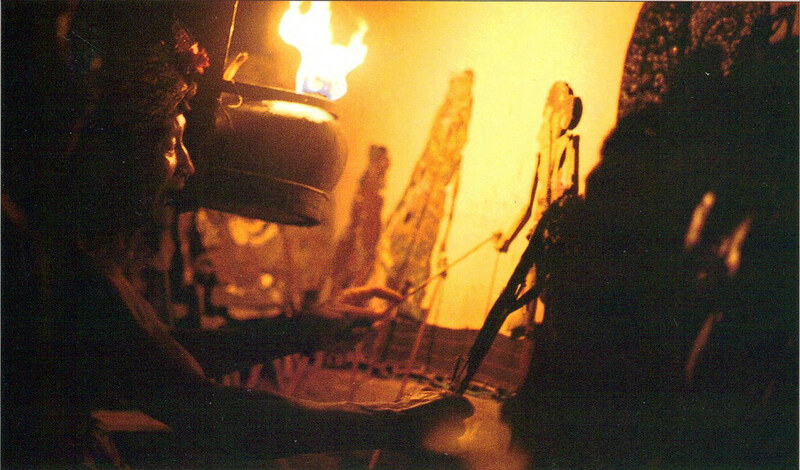 As is the case in all wayang performances, at times the gamelan only served to highlight and forward the action of the play. But even this was quite extraordinary. And then, when somewhere in the middle of the performance, the orchestra members put aside their instruments to vocally interject strains of “ketchak” (the now internationally well-known “monkey chant”), the audience howled with delight and once again broke into applause. This ensemble’s music was also the most integrally woven with the action of the play of any of the performances I saw. 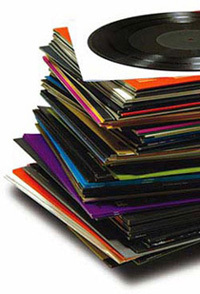 The stories themselves, which I had to rely on others to relate to me, varied also. The first, presented by an elder dalang from east Bali, was somewhat out of character in that there were no “good” and “evil” forces in the strict sense. Rather, the story concerned the coming to Bali of Hinduism and the resultant strife that ensued between Hindus and Buddhists over the truth of their respective religions. Eventually, however — through constructive interactions — each came to view the other with tolerance and respect. The dalang related the story in a fairly “serious” manner and with an enormous amount of engagement. When the play was finished, after about an hour and a half, he was in a heavy sweat and appeared to be in an altered state. 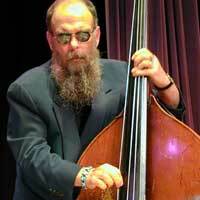 He reminded me of seeing Cecil Taylor coming off stage after an hour or so of intensely pursued piano improvisations. I never did get a sense of the plot in the obviously humorous tale presented by the dalang from Jembrana, the west. My driver and informant, who hailed from there, while admitting that the dalang was very funny (he himself was laughing throughout), felt the performance was “out of place” in the context of the Arts Festival. I think he was pretty much alone in this feeling, but he did not want to tell me too much about the story. I personally liked the dalang who, I felt, was extremely conscientious in his approach and, through his extensive use of humor, was attempting to blend old stories with new and to make old but universal messages meaningful to a modern audience. The Bangli and Sukawati tales were similar in form, each with sections which included a fair amount of dialog. The Sukawati story told of the formation of Indonesia itself; I’m not entirely certain about the Bangli tale. There could not have been a greater contrast, however, between the two dalangs, both relatively young men (early 30s?). The Bangli dalang incorporated the gamelan, I felt, to least possible advantage. He also maintained a more taut and monophonic tone throughout. Uniquely, however, he often sang passages of the text, song-like rather than — as is more usually the case — rising-and-falling chant-like, and he at times used his tapping of the knob to create simple, drum-like rhythms. The Sukawati dalang, on the other hand, was almost certainly the most sophisticated of any of these wayang masters. He only slowly brought his figures onto the screen. They appeared as flickering ghosts, materializing from nothing. His sense of drama was so great that I frequently felt on the edge of my seat, even while my actual understanding of the play’s content was negligible. It was rather like entering a movie theatre in the middle of a great film you know little about but immediately recognizing the style of it as masterful. I attended one other festival program of great interest which featured as its main work a new piece for double gamelan orchestra (two gamelan semaradana from the village of Pengosekan in central Bali, played by members of the Cudamani Arts Collective (http://www.cudamani.org/) and six members of the Vancouver gamelan group Gita Asmara (http://www.gitaasmara.ca/Gamelan_Gita_Asmara/About.html) by the American composer and Bali music scholar (now living in Vancouver) Michael Tenzer. 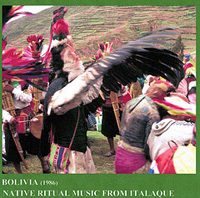 The overall program featured mixed works for Balinese and western instruments and included a handful of players both from California’s Gamelan Sekar Jaya (http://gsj.org/) (of which Tenzer was an original founder) and Canada’s Gita Asmara. The Sekar Jaya members worked with Balinese composer I Nyoman Windha to premiere a new work, Jaya Baya (translated as “Victory over Tragedy”), which featured trumpet, clarinet, guitar, violin, tablas, and a small (four-tone angklung) gamelan ensemble. It was an ultimately optimistic piece, with much feeling and pathos. Without question, however, Michael Tenzer’s new work was “the event” of the evening. To understand its context, some background is in order. While nearly all Balinese music is based on pentatonic scales and nearly all large, modern (kebyar) ensembles contain only a single (multiple octave) scale of that sort, in the 1980s a new hybrid gamelan of seven tones (the gamelan semaradana) was created so that various types of Balinese music might be played on a single set of instruments. The idea was to be able to use the gamelan for fast, kebyar-type music (this music is normally played single-handed, one’s free hand being used to damp the keys, allowing the players great speed to create rapid-fire, interlocking rhythms) but also to have the capability of playing older, more elevated court styles as well. Until recently, that’s the way the semaradana gamelan was approached. 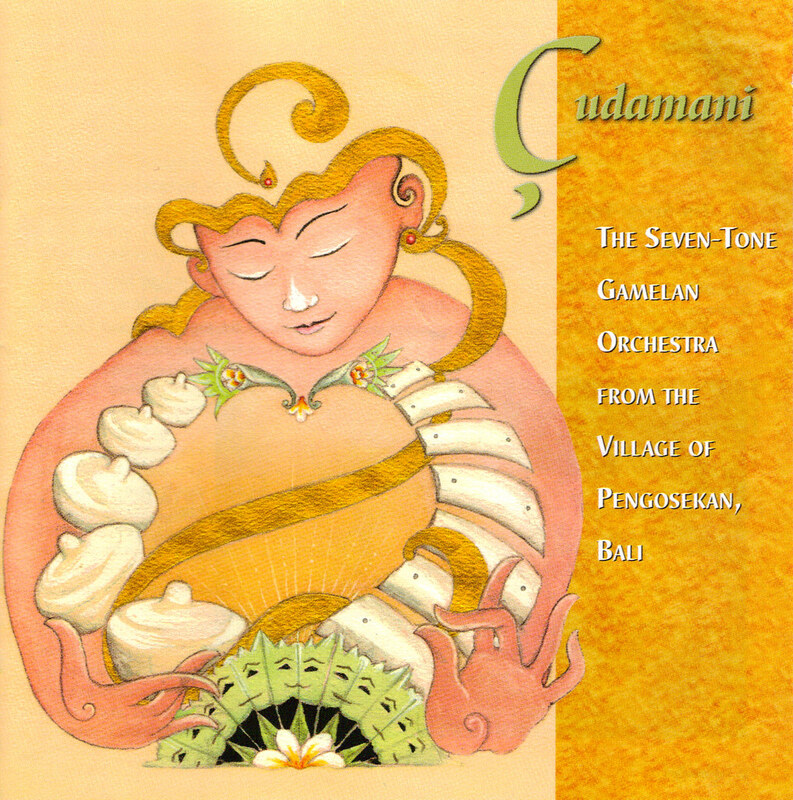 Then, only three years ago (in the context of engaging Gamelan Sekar Jaya in a type of “battle of the bands”), a work was created by Cudamani in Pengosekan, Geregel (also performed as a part of this program), which for the first time proposed a multi-pentatonic, multi-modal style of Balinese music. The piece included structural innovations as well, unusual silences and a broad dramatic sense not entirely common in Balinese music; to oversimplify, a sense of drama as much between as embedded within the lines. 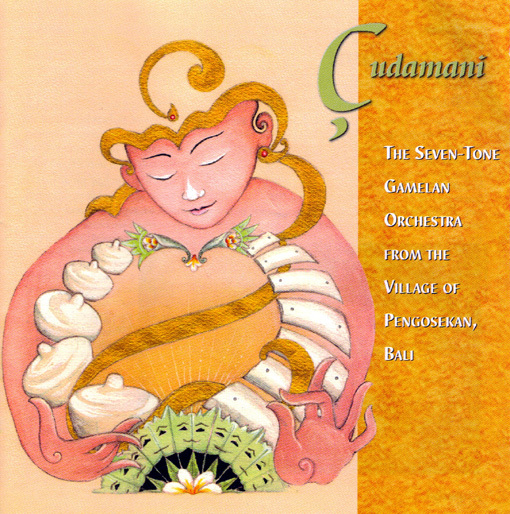 (The work has been documented on Wayne Vitale’s Vital Records on an excellently recorded CD entitled Cudamani: The Seven-Tone Gamelan Orchestra from the Village of Pengosekan, Bali (http://www.vitalrecords.ws/). The extensive program notes by Wayne are an education as well. So Michael Tenzer’s piece took off from this new structurally open, multi-pentatonic, multi-modal perspective, upping the musical ante both in the piece’s ambition and by throwing in another whole orchestra. 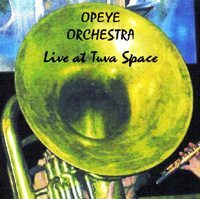 The work, Puser Belah or “Unstable Center,” was programmatic in nature, but its nature was such that it served to further the musical advancement. That is, it had to do with a first-time meeting between two entirely different cultures, each one represented by one of the two orchestras which faced each other across an open-air stage. As the piece commenced, each orchestra began playing entirely in its own musical universe, paying little if any attention to what was transpiring across the way from it. Additionally, the orchestra on the left began by playing extremely quietly while the orchestra on the right was more demonstrably loud and assertive. There were any number of textural twists, some marvelous sudden rhythmic interjections and shifts in dynamics until finally, at the piece’s center, a powerful yet slightly uneasy unanimity was achieved between the two bodies. The collective power of it was exhilarating, yet it lasted only briefly. Gradually, the heady communion began to come apart, each orchestra retreating into its own parameters, then finally retiring to musical spaces which mirrored the opening. There were some subtle, yet important, visual components to the work as well. For example, in the middle of the piece, one of the two drummers from each orchestra exchanged drums, symbolic of creating a cultural bridge between the groups. Also, at the work’s conclusion, each of the players of the large gongs from each orchestra abandoned their posts at the rear of the stage and walked to the front. As the large gong is more or less the anchor of any gamelan ensemble, I took the musicians leaving their instruments to indicate that while the piece was finished, the process itself was unfinished; unfinished because it is an ongoing one and must be continually, freshly re-engaged in. (Note: on Michael Tenzer’s website (http://www.michaeltenzer.com/works.html), we subsequently learn that this piece was only the first of a triptych: the second piece Buk Katah or “Underleaf” for gamelan semaradana and 10-piece chamber ensemble was premiered in Bali in 2006; the third Tabuh Gari or “Resolution” for small orchestra and Balinese percussion was premiered in Toronto, Canada in February 2008. In all, it was a relatively short piece, no longer than 15 minutes; but there was an opportunity to hear it played twice, both at the beginning of the evening and again at the end. Marvelous on its own terms, this piece was also personally interesting to me in its implications for improvisation. Cultural relations, after all, while steeped in social identities, are nothing more than personal relations played out on a larger scale. That said, the main thing that has always interested me about group improvisation is how much musical independence or sense of true self individuals might maintain while (equally) contributing to and upholding a group identity. The prevalence among improvisers, I often feel, is that they are either reluctant to allow their full selves to come forth; or else they are assertive to the point of overshadowing the contributions of the other players. So did this piece suggest any answers? What it mainly suggested, it would seem, is the difficulty of maintaining that precarious and delicate balance between the individual and the group. It likewise suggested to me that, despite the elusiveness of means to an ultimately unified end, an honest process itself (of improvisation) may be just as worthy as any final “result” that is achieved. Henry Kuntz, July 2003 (Updated April 2009). All Rights Reserved. Certain background material for this report came from the online article Wayang Kulit: Shadow Puppet Performances http://www.murnis.com/culture/articlewayangkulit.htm at Murni’s Website http://www.murnis.com/index.htm; also from Wayne Vitale’s notes to Cudamani: The Seven-Tone Gamelan Orchestra from the Village of Pengosekan, Bali (Vital Records 440 http://www.vitalrecords.ws/).